It’s that time of year where fans of author Edward Gorey celebrate the works of the revered author and illustrator for the Edwardian Ball. This year marks the sweet 16 anniversary of the event, which takes place over the course of two nights in San Francisco, Friday and Saturday, January 22 & 23, 2016 and also in Los Angeles, February 26, 2016. As described by the event organizers, costumed and enthusiastic attendees traveling from across the nation and from all corners of the globe flock to this West Coast celebration for a delightful blend of ballroom dancing, live music, riveting stage shows, DJs and dancing, fine art installations, an award-winning vendor bazaar, mystical and nonsensical oddities, absinthe cocktails, steam machinery, parlour games, alluring sideshows, and much more. 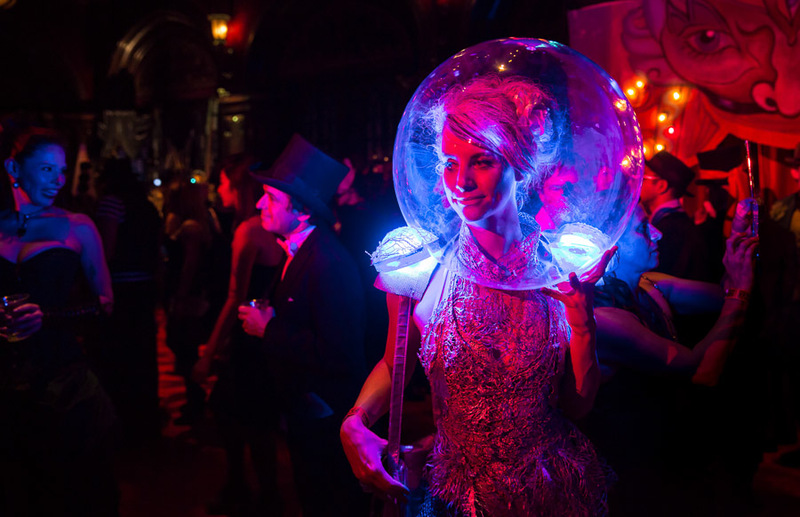 Each year, The Edwardian Ball presents a featured Edward Gorey tale in an original stage performance. This year’s event takes a unique turn, with Edwardian Ball founders Rosin Coven teaming up with longtime collaborators Dark Garden Corsetry in an operatic presentation of Gorey’s ridiculous tale, “The Stupid Joke.” Ball co-hosts Vau de Vire Society will also present a series of vignettes throughout the evening paying homage to the most controversial works of the (in)famous illustrator. 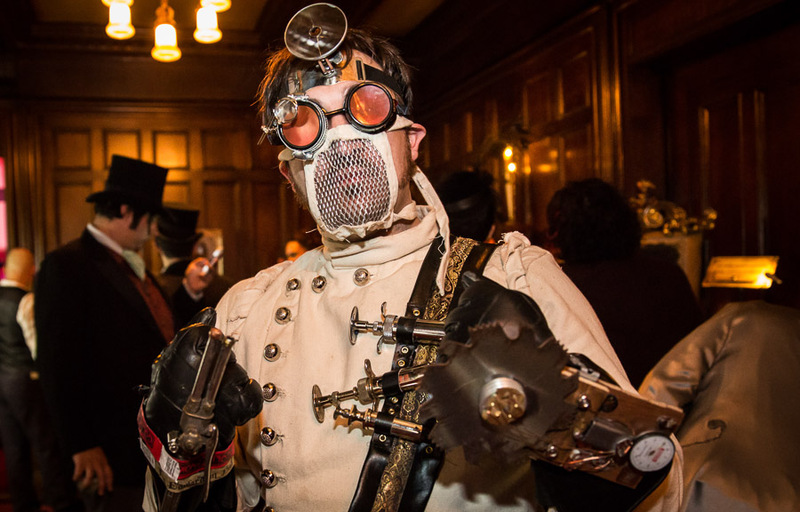 Celebrating everything Gorey, the event merges the steampunk community with circus theatrics, fashion and cosplay as attendees often assume a Neo-Victorian/Edwardian-era persona for the night. The event offers a wide variety of activities to participate in including live music, a Gaming Garden, where characters, tricks, and games of chance weave a backdrop to steam-powered creations and chance encounters. Other attractions include the award-winning vendor bazaar, photo booth, mystical and nonsensical oddities, absinthe cocktails, steam machinery, parlour games, alluring sideshows, and much more. When: Friday, January 22, 2016 and Saturday, January 23, 2016. (Free admission with VIP ticket purchase). Where: Regency Ballroom, 1300 Van Ness Street, San Francisco, CA 94109. Attire: Creative Period Costumes Strongly Encouraged.